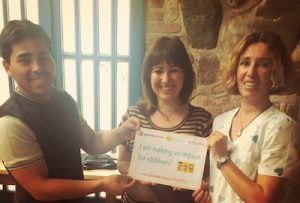 Children's Helpers Worldwide | Will YOU be one of 30 special people making an impact this week? Will YOU be one of 30 special people making an impact this week? On Monday, 9 April, GlobalGiving will be launching their Little By Little Campaign at 2.01pm (UK time). The campaign ends on Friday, 13 April. As it is CHW’s 11th birthday, later this month, we want to invite you to take part in this campaign, to celebrate this milestone and to help you continue to make a difference in the lives of children who are disadvantaged. GlobalGiving will be awarding bonus funds to organisations that raise at least $3000 (around £2150) from 30 people. If you are able to contribute, you will be one of those people helping to reach this goal! If you are unable to donate but want to help, please do share our project during the campaign week, as you can actively be a part of reaching those 30 people! Is GlobalGiving doing anything else? Yes! Whilst matching funds last, donations of up to $50 (around £35) will be matched by 50%, so your contributions will go extra far this week! The Impact Fund helps children and young people at CHW’s projects who have unexpected or urgent needs. The fund also supports children’s projects that are very worthwhile, but that we are struggling to get help with. In this report, you can find out more about Ismael, the first beneficiary of the Impact Fund. Ismael is 9 years old (although his birthday is tomorrow!). He is from Argentina and has Phelan-McDermid Syndrome. 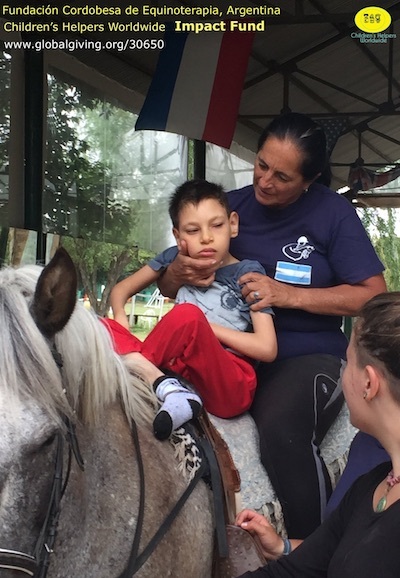 The supporters of the Impact Fund have enabled him to continue with horse assisted therapy sessions in 2018, which helps him physically, mentally and emotionally. Through the Impact Fund, you will be supporting more children and young people, who are in need. If you would like any further information about the campaign, or want to let us know that you will be one of the amazing 30 people who are going to make an impact for children, you can email Catherine at catherine @ chworldwide. org.